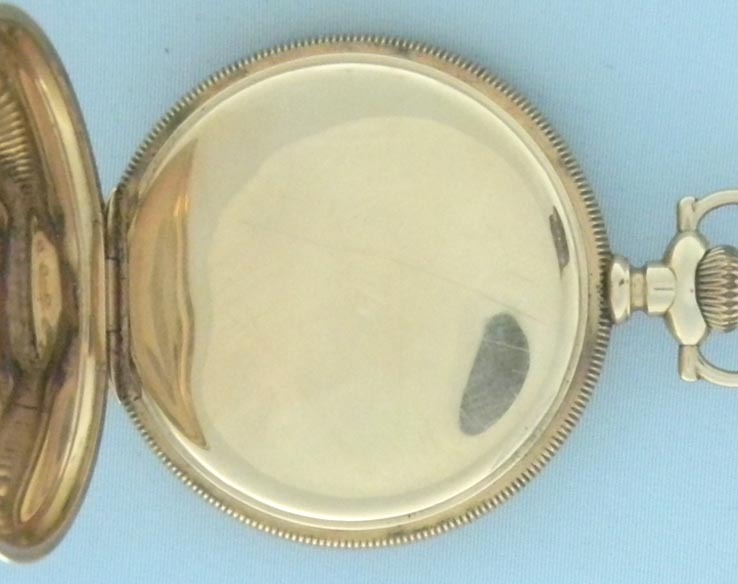 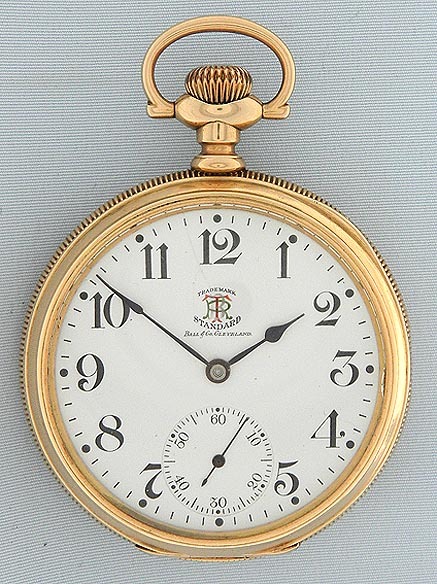 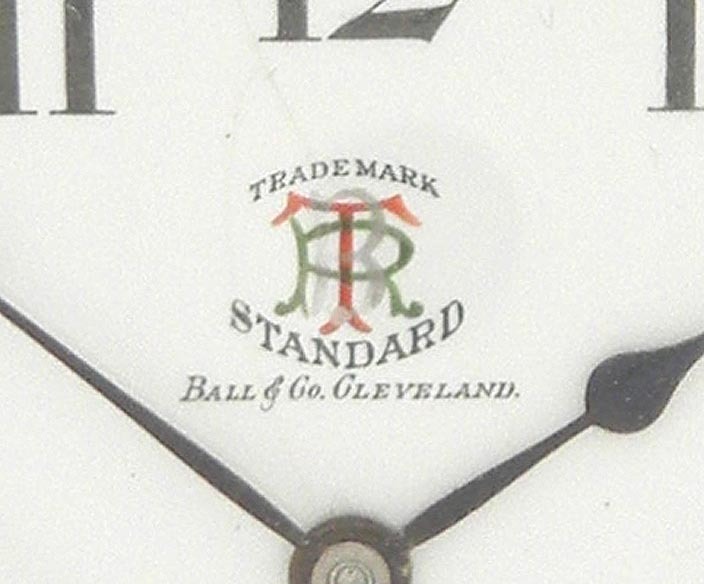 Fine and scarce 14K gold Ball Brotherhood of Railway Trainmen antique railroad pocket watch circa 1911.White enamel (small hairline at the top) dial with bold black markings, blued steel hands, and three-color BRT logo. 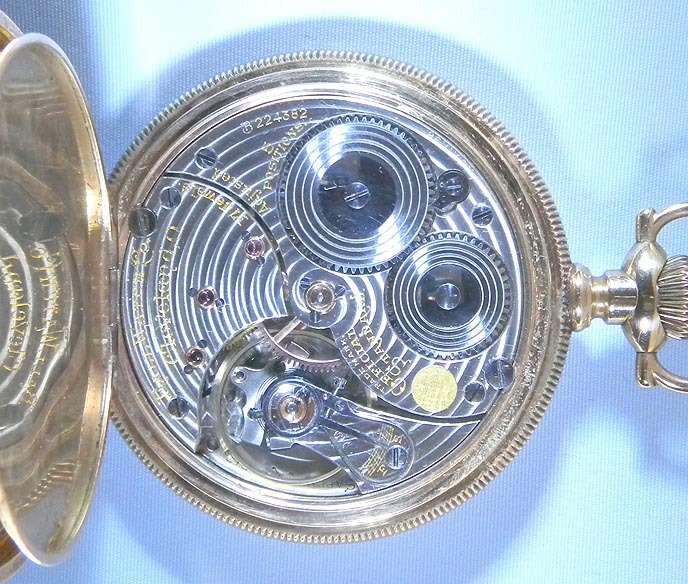 Beautiful 17 jewel 5 adjustment movement with precision regulator. 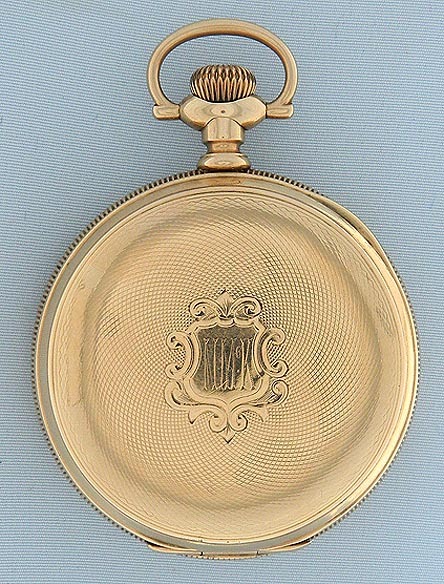 Engine turned case with light edge wear.